Hello wonderful readers! It’s time for another massive giveaway brought to you by Angie from My So-Called Chaos, myself, and a few other fabulous bloggers who’ve joined us this month. 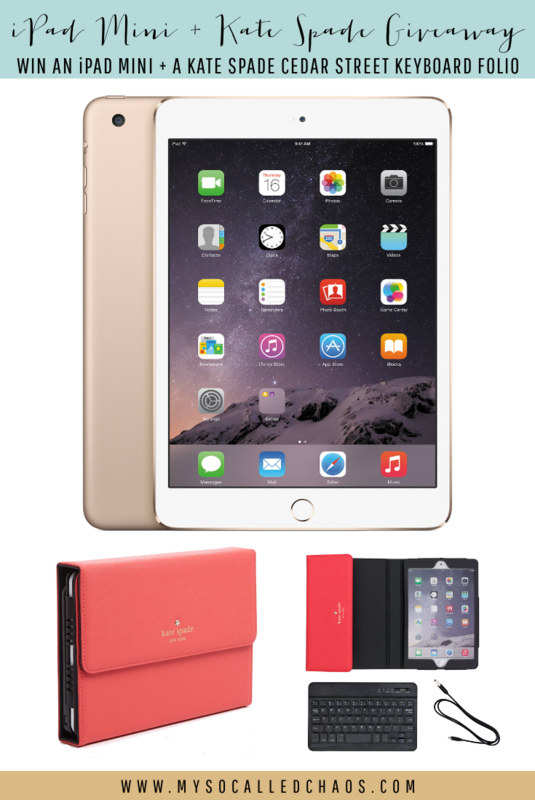 For the prize this month, She’s chosen to give one lucky winner an iPad Mini and a Kate Spade Cedar Street Keyboard Folio. Before we get down to the prize, the prize sponsors have been asked to share what their favorite app is on their mobile device, and why. I love this question because it gives us an idea of what apps or social networks to pay attention to, as well as recommendations we should try for ourselves!